Something About Vue Js with its features, a brief note. Vue is also supported by one of the most usable and robust PHP framework Laravel. Laravel provides the full support to work with the Vue Js. We will discuss more on Laravel + Vue Js in our future articles. Recently, Laravel released one tool “Nova” for Laravel developer which is built with Vue Js. Nova is a beautifully designed administration panel Single-Page Applications (SPA). Developers can easily customize this as per the project requirements. We will discuss more on Laravel Nova in our future articles. Vue Js uses a DOM-based templating implementation. It means all the Vue templates are essentially valid, parsable HTML enhanced with some special attributes. Components are reusable Vue instances. We can use the component as a custom element inside a root. Lots of ways provided by the Vue Js to apply the transition. You can easily apply the transition to HTML elements when they are available in the DOM. Vue Js has a built-in transition component and also we can easily add third-party animation libraries. This is one of the important features of Vue Js. It means to make simple logic to make your component clean. Sometimes we write too much logic for simple functionality. Vue provides HTML-based templates that bind the DOM with the Vue instance data. Vue compiles the templates into virtual DOM Render functions. We can make use of the template of the render functions and to do so we have to replace the template with the render function. 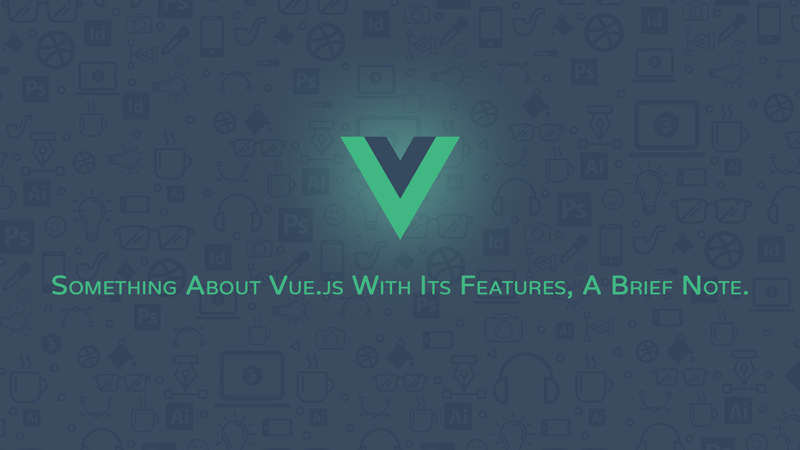 Vue has built-in directives such as v-if, v-else, v-show, v-on, v-bind, and v-model, and many more which are used to perform various actions on the frontend. Also, Vue allows us to create our own custom directives. Computed properties are more appropriate in most cases, Sometimes a custom watcher is required. So Vue Js provides a simple way to react to data changes using watch option. In simple words, Watchers are applied to data that changes. For example, form input elements. Here, we don’t have to add any additional events. Watcher takes care of handling any data changes making the code simple and fast. Routing is used for navigation between pages. This is performed with the help of vue-router. It is a very lightweight framework and its performance is also very fast. CLI is known as command line interface. Vue provides CLI support and developer can use Vue CLI to compile the code or create a build of the project easily. Currently, Vue CLI 3 provides lots of new features. Which makes Vue CLI more professional.